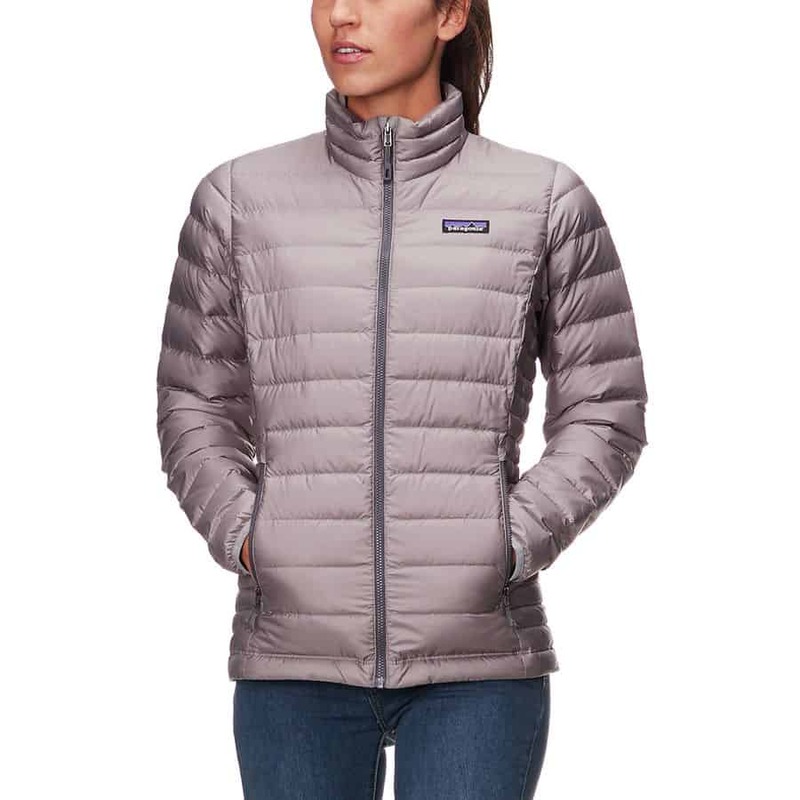 » Columbia vs Patagonia Jackets – Get the Perfect Winter Jacket! As the famous Game Of Thrones quote goes, “Winter is coming”. Which means we all might as well be prepared for it. And what better way to do so than some sweet old retail therapy? Winter wear tends to be the least replaced part of one’s wardrobe. However, this does not mean that jackets and scarves don’t need replacing every so often. If you have been using the same jacket for the past few years, and are considering buying yourself a new one, or if you wish to gift a jacket to someone and are doing your research to look into the best brand to gift to your loved one, we are here to help. Simply put, a winter jacket is a garment that can help you withstand the cold, snow, rain or wind. It needs to contain enough insulation so that your body can remain warm no matter what kind of activity you are engaging in. It also needs to cover for wind chill factor and humidity. A good jacket is one that can keep you dry and well-protected from the cold, keep your radiant body heat trapped inside, and has a waterproof and breathable outer shell. Aside from being useful in cold or wet environments, they can also be more stylish and aesthetically oriented. There are so many types of winter jackets that it can be easy to find yourself completely confused at the myriad of choices available to you. From stylish trench coats to comfortable parkas meant for outdoor activities, jackets come in all variants. Firstly, let us cover some basics about jackets. A lot of people insist that a jacket cannot really be a good enough substitute for proper layering. They say that the kind of insulation that you get from pairing innerwear with your normal clothing is unparalleled if you look into the thickness of each of the layers and the comfort factor it brings. You can get the same insulation and warmth that you would get from a bulky too-big-for-you parka that you would from simply layering your clothes properly. Instead of buying an expensive package of weatherproof insulation in one item of clothing that will restrict your movement significantly and won’t perform that well, spread it out in layers. This obviously has its own set of advantages and disadvantages according to the end user. If you are going to move around outside in very cold weather, but you will be jumping from the warm indoors to the cold outdoors, then it can be useful to have a single large coat that can keep you warm while outside, but which you can remove and keep once inside so you don’t have to be sweating buckets indoors. However, if you are going to do a lot of outdoor activity, such as hiking, you will want to adopt the layering approach. This will enable you to achieve greater performance with more versatility. A big advantage of layering is the kind of customisability you can get with a wider variety of jackets and innerwear to choose from. However, if you don’t really want to think about what you’re wearing every single day for all of winter, then a big old parka would just do it. Wear whatever you want inside, it wouldn’t matter. Another important thing you will want to pay attention to is what kind of insulation your jacket will have. Down feathers stuffed inside a jacket for insulation will be much lighter and will compress better than synthetic insulators. When down feathers spread out inside your jacket, they can achieve a huge amount of loft and trap lots of air in them. However, this also means that they would immediately lose this ability if they get wet. This is where synthetic insulation comes in. Synthetic insulation remains the same shape even when wet, especially if you use the waterproof variants. In addition to this, they are also significantly cheaper than down feathers, as is anything that is man-made. However, pricing is a question of when and how you buy your jackets. If you take advantage of the sale period, often after winter is over and the companies want to get rid of their winterwear stock, you can find the most expensive types of jackets available for sale. So pricing is really a matter of how aware you are of trends, and that you take advantage of them. Don’t hesitate to ask store owners when they have their annual sales for winter wear, and collect your winterwear only at that time and hoard it until the following winter. You can often get winterwear for about half the original cost if you buy it during the sale period. Protecting your hands against the cold, and in extreme conditions, frostbite should be at the forefront of your priorities, and you will definitely be needing gloves or mittens. One of the important aspects of a jacket is what kind of cuffs you would prefer to get, which will go over or under the gloves. Loose cuffs will mean your gloves will need to go under your sleeve to protect your hands from the cold. Tighter cuffs will mean the gloves will go over. If you are going to go out in the rain or snow, water will seep into the cuff if it goes over the gloves. In that case, you will want your gloves to go over the cuff. The best option a lot of times is to go for super stretchy cuffs that can accommodate all kinds of gloves and keep you comfortable. They will also wrap snugly around your wrist keeping your forearms warm and not giving you a bruise in the process. Stretchiness can be from elastic, zippers or even a velcro closure for your cuffs. Another option is to go for button-up cuffs if you don’t mind looking a bit formal. Pockets are important for the obvious reason that they hold things in for you, whether it is your wallet or phone or your train ticket. Another use for pockets is to keep your hands warm. If you are carrying your phone or money with you, will the jacket keep it dry? If you are traveling in the rain, you will need to ensure if the pockets also are waterproof. All these things are important to consider if you want to buy a jacket with pockets. Also, look out for faux pockets that you would usually get in women’s jackets. These are infuriating things that for some reason are added for aesthetic and to maintain the silhouette of the jacket. If you do not care for these things, then ensure your jacket has good, deep pockets that can hold all the things you need. This is a purely subjective opinion, whether the addition of a hood is a positive or negative factor for a jacket. A lot of people like hoods on their jackets, while some people dislike them. If you are going to wear a helmet or some protective gear for your head anyway, you may not need a hood for your jacket. However, there’s nothing wrong with just letting it hang behind your helmet until you need it again. A lot of people also prefer big enough hoods that can go well over their helmets too. In addition, it should also not be annoying for you, and things like flapping about in the wind while you are biking or hiking can be an annoying thing indeed. You may also want a hood with a brim so that it keeps the rain off your face. In case you wear spectacles, this is a must-have for you since you might not be able to see anything if your glasses are wet from the rain or snow. Size is an important feature to consider. A jacket that is too small for you will naturally not provide you with the required amount of protection, but one that is too big for you will also not provide you with the snug warmth you need to stay comfortable. A larger hoodie will also make it extremely annoying for use, especially if your jacket sleeves are too long for your hand, or if it ends up far too bulky for your smaller frame if you are engaging in any outdoor activity. This is a criterion you may have to take into consideration quite seriously if you are engaging in any adventure sports, or even just going hiking. These will help you cinch your jacket around your waist which can be a very useful thing if you are going to travel to an area with a very high wind chill factor. In addition, if you want to add layers to your outfit, you can simply loosen the adjusters easily and wear however many layers you wish to inside. It is a much better option to look into than simple elastics that wrap over your waist and can end up becoming too tight if you do a little too much layering. This is something you may have to take into consideration if you intend your jacket for everyday use. A shell is basically a thin waterproof barrier for your jacket so that you remain dry inside. It offers great protection against the rain, snow and any wet environment using a weatherproof barrier. Some examples of these barriers are Gore-Tex, eVent or H2NO. However, as we mentioned above, these barriers don’t offer much in the way of insulation. If you use a simple windcheater to stay dry, you will have to ensure you have layered up enough underneath to make sure you don’t end up getting cold later. A lot of times, the zippers may be made of metal for decorative reasons, but may not have the same waterproof ability that the rest of the jacket has. This is a great way to soak yourself. However, even if a zipper itself is not waterproof, often they come with a front flap that goes over the zipper, attached by velcro, magnetic snaps or some other fastening system. Make sure you are able to easily adjust these fastenings with your gloves or mittens. No matter what type of jacket you wish to opt for when you are looking for a good coat, it is necessary to look at the brand of the coat you are buying. Brands are not excellent just because of the name itself, but for the assurance of quality, you will get from purchasing the product of that specific brand. Many people opt for brands because they would not like to experiment with the quality of such a permanent and important purchase. No matter what product we are talking about, people have developed a certain brand loyalty towards every product and they opt for all related products manufactured by that brand only. This is because of the consistent positive experiences that consumer has had with the brand. Jackets are really no different. When you consider the fact that most people will buy jackets to last for many many years, it is easy to see how quickly each consumer will develop quick brand loyalty to their brand of choice. Two of the biggest giants in the jacket industry are Columbia and Patagonia. Today we examine the differences between these two brands of jackets in detail and try to figure out why people love both these brands so universally. We will also do a takedown of which brand is better. So keep reading on to find out which is the better brand. Columbia is a great brand with a sleek and masculine style and specializes in men’s and women’s jackets. They are an American company that manufactures and distributes primarily outerwear and other kinds of sportswear. They have however become an extremely popular and preferable choice for consumers because of their jackets that boast breathable waterproof fabric, and interchangeable shells and liners. Columbia has today won awards for clothing, and have sponsored many athletes and big names in the sporting world, especially in US and Canadian freestyle ski teams and the Manchester United Football Club. Columbia offers many types of protection. The two main types of technology that has been developed in the protection it offers include the Omni-heat reflective. This works on the principle of thermal reflective warmth. The clothing is lined with metallic dot material which retains a ton of heat, keeping you warm inside. This patented metallic dot material is responsible for making up 35% of the heat retaining lining. The rest of the fabric is made breathable to allow for moisture and sweat, and excess heat to escape so that you remain comfortable no matter what. It is truly a revolutionary product that creates space inside for your radiant body heat to stay inside and not get released into the air making you cold. The Outdry Extreme is the tough waterproof membrane it offers on the jacket outside, with a soft wicking fabric on the inside. 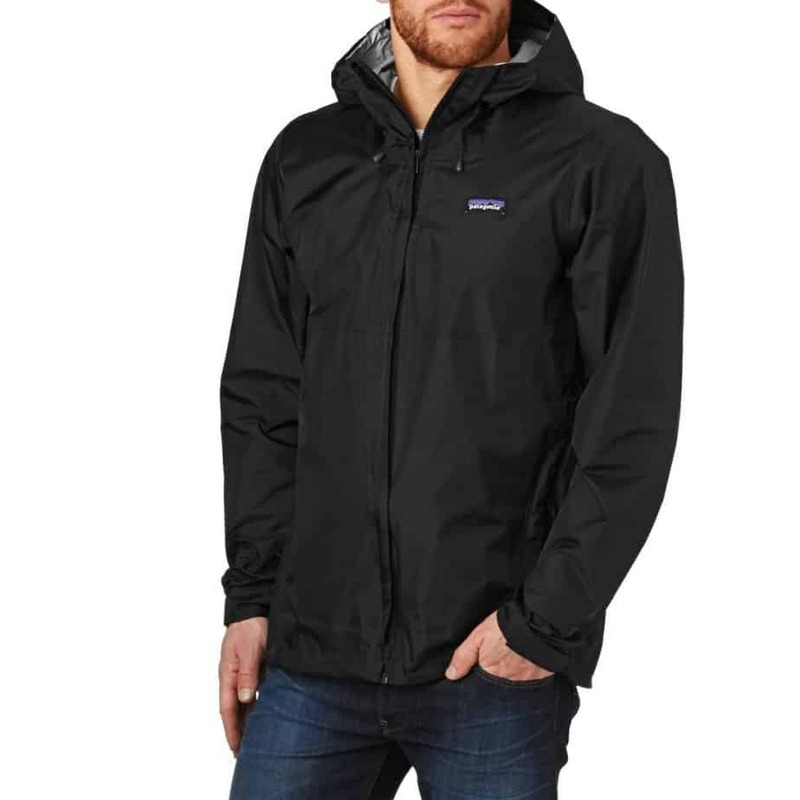 This, as is claimed by Columbia Sportswear, solves the problem with traditional waterproof jackets which is that they have an internal waterproof membrane and an external breathable fabric. This must be treated to make the jacket waterproof. If you do not maintain the jacket over time, the fabric deteriorates and damages the waterproof lining in the traditional jacket, that ends up allowing water inside and ruining the jacket’s breathability. This means that for Columbia Sportswear’s jackets, despite being categorized as a shell jacket, it is still quite thin and comfortable to wear and perform various activities in. It does still have the thin fleece style internal liner, which makes you extra warm during the cold winter months. This means that you can effectively skip an extra layer and you would still be quite warm. This is a tremendous advantage over most other jackets, giving Columbia jackets an edge. Some of the jackets also come with a zipper which is extremely convenient for the user. The hand pockets have a zipper in them and are of a generous size for you to be able to store anything you may wish to. They also tend to usually come with a chest pocket, like that of a formal shirt, which gives it that extra aesthetic appeal. The chest pocket itself is usually big enough to fit a whole smartphone in it. Another feature with the Columbia jackets is that they come with storm hoods that can be rolled down and attached to the neck area using a velcro. The storm hood also has a side drawstring to tighten around your face and protect your hair from the rain or snow. Another interesting feature is that it has adjustable sleeve cuffs. Some of their jackets come with a Heat Seal technology, which removes the need for any kind of stitching or hemlines and creates horizontal lines in the jacket which prevent the down from shifting around or accumulating in one region from gravity. 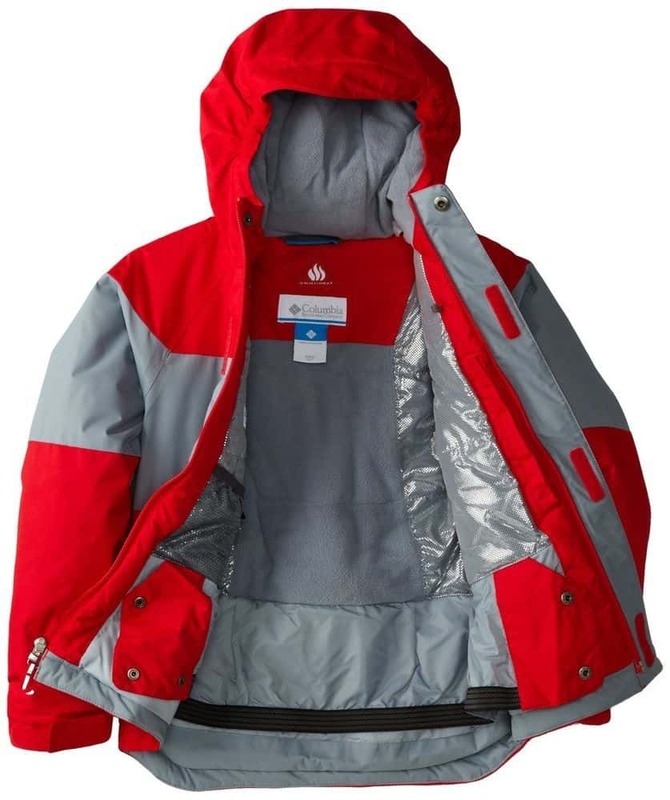 This improves general heat retention and improves the jacket’s ability to remove water as there is no sewing related holes in the garment where the rain or sleet could slip into. Some of the jackets boast of completely recycled trims, so if you care about the environment, that is an important distinction to pay attention to. Another important feature to look out for is the antimicrobial treatment that Columbia gives to some of its jackets, to prevent bacterial and fungal spores from growing because of your sweat or moisture accumulating inside the jacket as a result of condensation. Some jackets even come with thumb holes in the cuffs to slip your thumbs into to prevent the looser cuffs from riding up making your wrists chilly. If you are the kind of person who gets cold easily, Columbia jackets will be sure to keep you warm throughout, no matter what kind of weather you go out in. These features mean that you will feel comfortably snug with the adjustable sleeve cuffs and adjustable drawstring hoodie. You will get plenty of free movement which will allow you to engage in any outdoor activity, which even includes adventure sports that require a wide range of movement. These jackets will also remove the moisture away and not let it get wet. The jackets are also extremely aesthetically appealing, so if an aesthetic appeal is something that you would like to opt for, you should definitely make your choice from within the Columbia range. A lot of the colors available to you will stand out completely, which separates this brand from the rest. 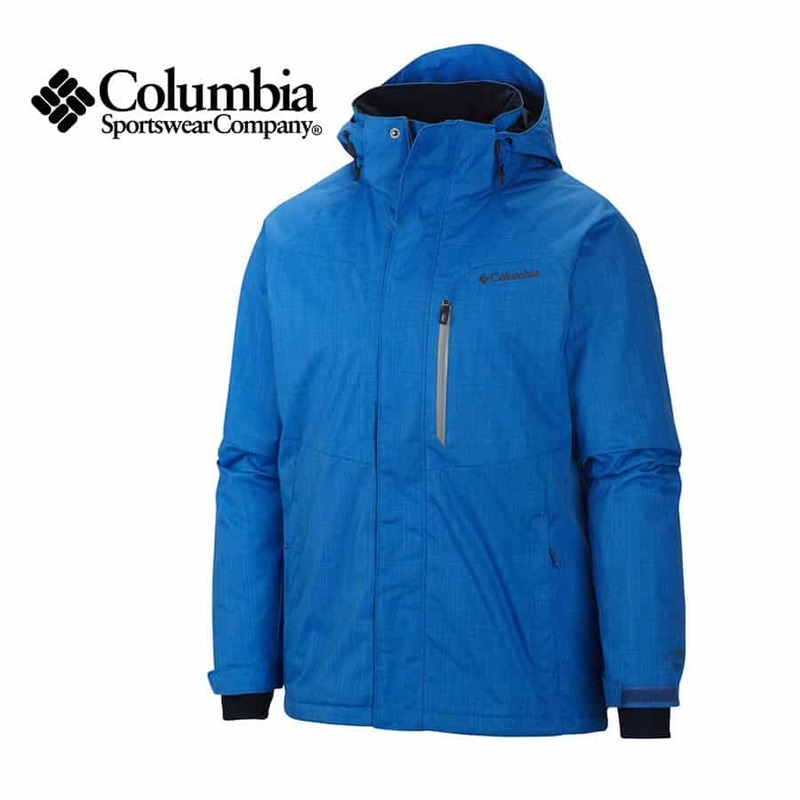 What are some tips for washing and drying a Columbia jacket? The way you can wash your Columbia Jacket depends on the exact model of your jacket. It might sound logical, but always read the washing instructions, even if you think it looks like a normal jacket. Most of them can be washed in a gentle cycle, and a must for almost all of them, is to use a liquid detergent that has no added “brighteners” or bleach. Patagonia is also an American company that sells outdoor clothing, including men’s and women’s jackets. It started in 1953 by Yvon Chouinard, and it has slowly grown into the giant that it is today. Patagonia is one of the best well-established brands for jackets that exists out in the jacket industry today, with its sales all over the world. It is highly reputed because of its strict adherence to high-quality fabrics and constant development of new technologies in the textile that make it such a formidable company. Patagonia company has released several important examples of its ranging technological advancement in the field of textiles, including durable water repellent clothing. It is the oldest company to have established itself in the industry at a time where sportswear was almost unheard of, outside of the context of professional athletes. Patagonia’s jackets offer a wide range of options in the outdoor jacket section, that offer excellent waterproof breathable fabrics that also have great insulation. They offer high-quality outdoor jackets that provide snow-sports technology, soft-shells, hard-shells windcheater and waterproof choices for the consumer. They are also priced reasonably especially compared to the Columbia, however, pricing is totally variable depending on the kind of product you may be interested in. 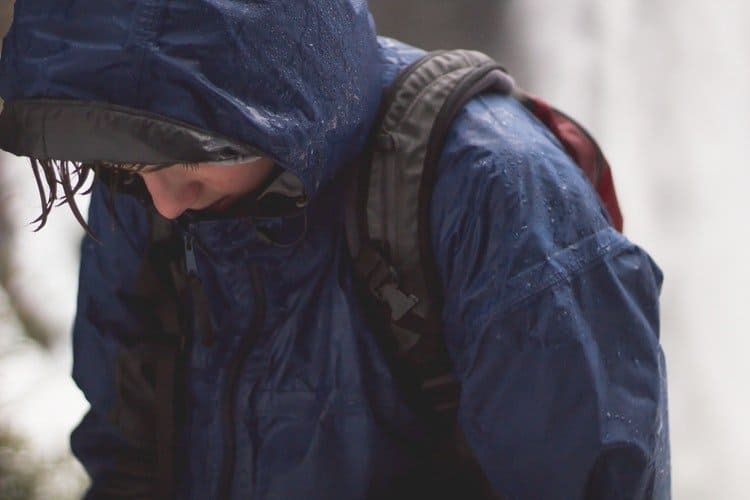 Patagonia’s jackets come with an excellent waterproof technology that allows you to work or perform any outdoor activity with ease, even in rainy, rough weather conditions. In addition, their jackets are extremely breathable and light-weight. This is because the down feathers they use in their jackets are high-quality downs that are inherently waterproof. This duvet-like feature makes the jacket extremely comfortable to wear, even in situations where you have to engage in a lot of outdoor activity. These jackets also have a well-insulated brimmed hood that comes with volume adjuster and drawstring cord that is adjustable. The back of the neck has a down-filled chamber that ensures that insulation is maintained. The pockets in Patagonia jackets are usually quite large and easy to accommodate a large smartphone as well. You can usually make use of the hand-warmer pockets that are attached to each side for your comfort. In addition, there is also a chest pocket on the left side that can easily fit an average-sized smartphone as well. All the zippers on these jackets have an external draft seal to maintain and minimize heat loss as far as possible. Inside the jackets as well, there are two giant mesh storage pockets that can fit anything you wish to carry, including large mittens or gloves, water bottles or any other item you may wish to take with you. The bottom of the jackets usually come with dually adjustable zippers or dual adjust drawstring hem. The sleeves also usually come with adjustable cuffs which will protect your forearms from the chill by snugly sealing around your wrists comfortably so you can be assured of a comfortable yet snug fit. There is a lofty thickness in spite of the lightweight to the jackets, that will make you feel very cozy and snug when you put on these jackets. One unique part of their technological know-how includes their box wall baffles. This is a stitching method that includes each channel being sewn in a box-like shape by adding a connecting fabric inside each of the single tubes that line the pocket. This makes for a much warmer design and more comfortable fit as there are no cold spots created in the place where the stitching scrunches the layers of fabric together. This creates a more uniform layer of insulation across the jacket, thus causing the heightened warmth and coziness of the jacket. Other technological features that improve the warmth of the Patagonia jackets include the addition of down-filled draft tubes that eliminate the chance of the zipper becoming a cold spot from which cold air or water can cause discomfort to the wearer. This is a small feature but it makes a lot of difference to the comfort factor of the jackets. The jackets are also cut to be quite long which ensures that your lower back will also be covered comfortably to maximize warmth. Most often, wearers have to opt for a higher size up in jackets to accommodate for the lower back coverage issue, but with the Patagonia jackets, you can simply opt for the size that fits right by you. The zippers to close up the jacket perfectly leaving no room for cold air or water to seep through causing discomfort to the wearer. The zippers are made of very high-quality metal and will not jam even after prolonged use. Apart from all this, the shell fabric that is used by Patagonia to design its jackets is called as ultralight Pertex Quantum, which is a high-quality shell fabric that can withstand quite a lot of extremely rough weather conditions. It is highly reliable and perfect for those sudden showers in the middle of your hiking trips, and you need not to worry about this fabric failing on you at any point of time in your usage. Lastly, another technological feature that makes these jackets perfect for most users and such a popular choice across the world is the hood design, which is designed to cover a large portion of your head, including a part of your face as well. This means that if you require glasses, these jackets will have you covered from the rain or sleet so that you can continue to see properly. It can fit perfectly over a helmet so this is not something that you will have to worry about. That is not a feature you can be assured of with other brands. The hood itself is quite luxurious and feels very cozy as it sits around your head, and provides plenty of insulation and warmth. With respect to aesthetics too, Patagonia performs very highly. With beautiful colors and solid designs, these are jackets that can be combined with any kinds of outfits for your benefit. One final thing I would like to mention about Patagonia is about its traceability related to where its products are really coming from. If you care about corporate’s influence on the environment especially with respect to ethical practices, it is very nice to know that Patagonia’s jackets are completely traceable in every way, and they are setting the highest industry standards with respect to environmentalism. Their supply chain is fully traceable, and you can chart your jacket’s progress all the way from the parent farm to the apparel factory and be assured that nothing unethical has taken place at any stage of production. None of the animals is mistreated in any way before or after the procurement of down feathers. This is very reassuring and must be encouraged in today’s world. A jacket can be an extremely useful and handy tool for a lot of people. Whether you simply use it for accessorizing or you need it to add to your layers of clothing, we have got you covered with both of these excellent and reliable brands of jackets. Which one would you opt for? Do you have brand loyalty to either of them? Let us know!